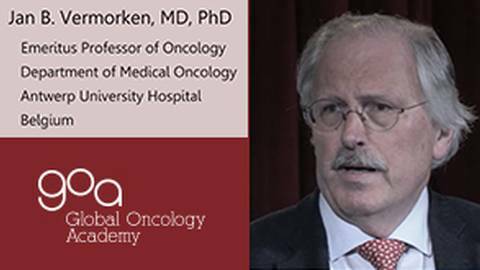 Join Jan B. Vermorken, MD, PhD as he shares some of the exciting updates on Squamous Cell Cancer of the Head &amp; Neck (SCCHN). Join Jan B. Vermorken, MD, PhD as he shares some of the exciting updates on Squamous Cell Cancer of the Head & Neck (SCCHN). The target audience for this activity includes Reproductive Endocrinologists, Embryologists, and Certified RE and Embryology Lab Technicians. A statement of credit will be issued only upon receipt of a completed activity evaluation form and will be available for immediate download. This activity is supported by an independent educational grant from Illumina, Inc. Consultant: Actavis, Bayer, Merck, Natera, Quest, Sequenom, Inc.